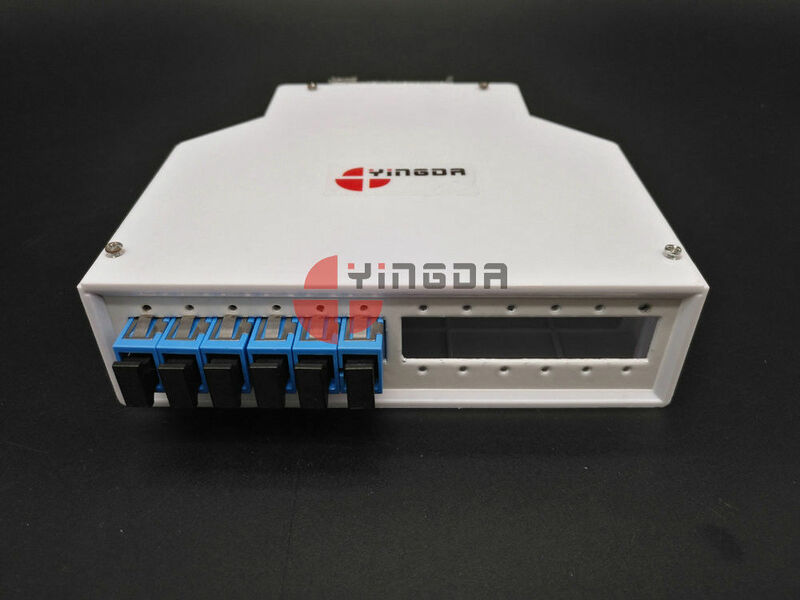 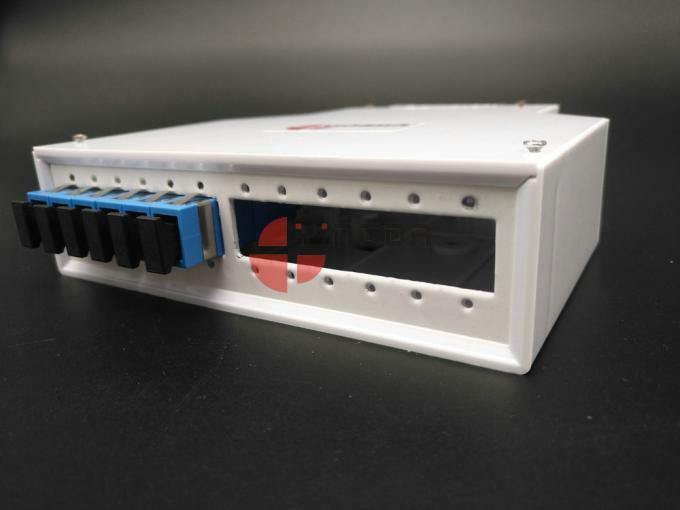 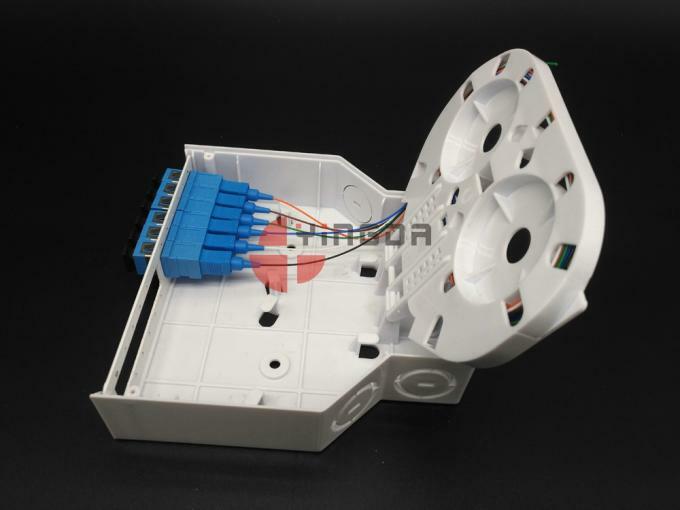 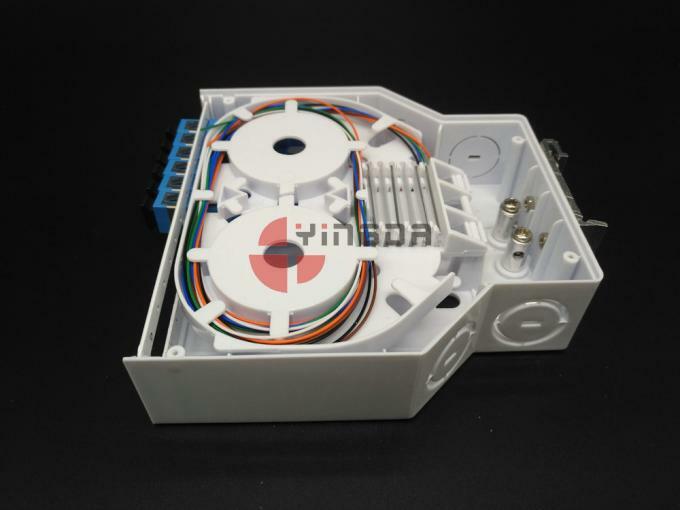 This type Fiber optic Din terminal box is available for the distribution and terminal connection for various kinds of optical fiber system, especially suitable for mini-network terminal distribution, in which the optical cables, patch cords or pigtails are connected. 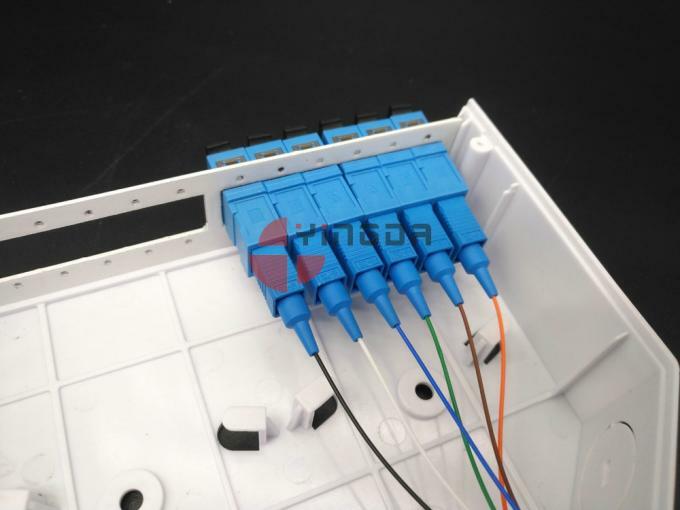 Cable tray can be overturn, easy to manage. 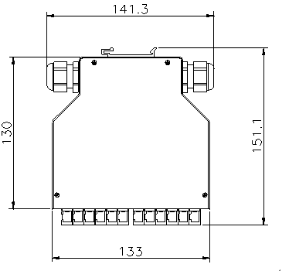 Optional adapter and adapter plate. 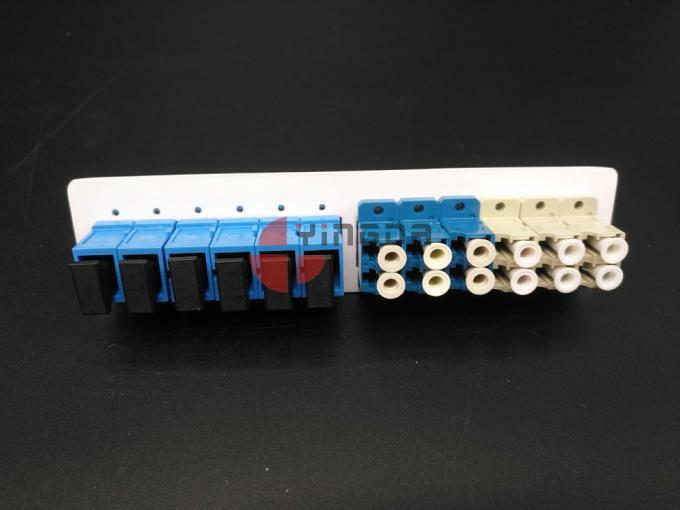 Din guide rail, easy to install on rack panel in cabinet. 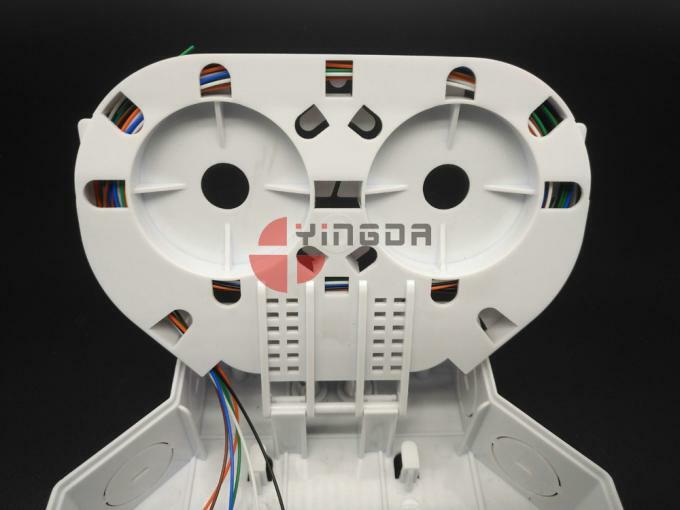 The cover and back side. 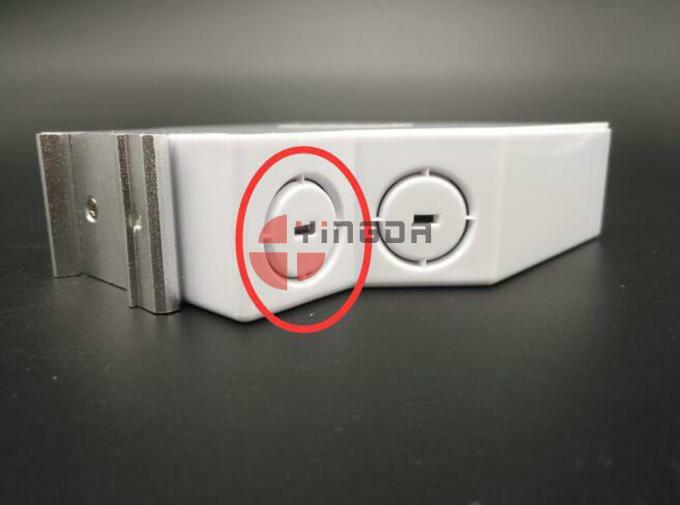 Use four screws to fix the cover. 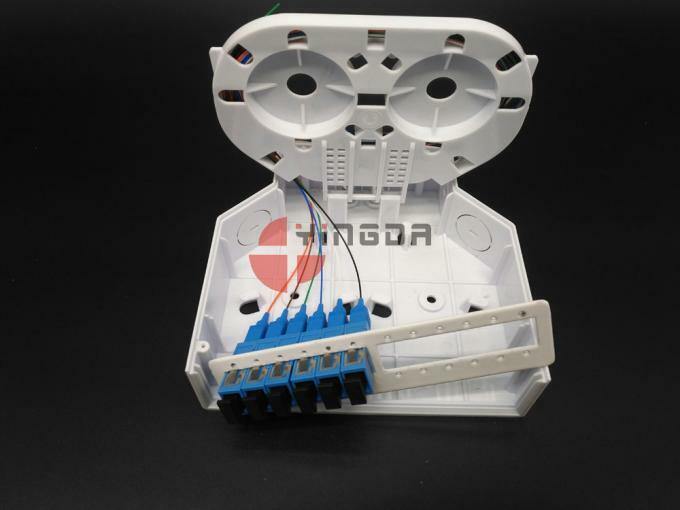 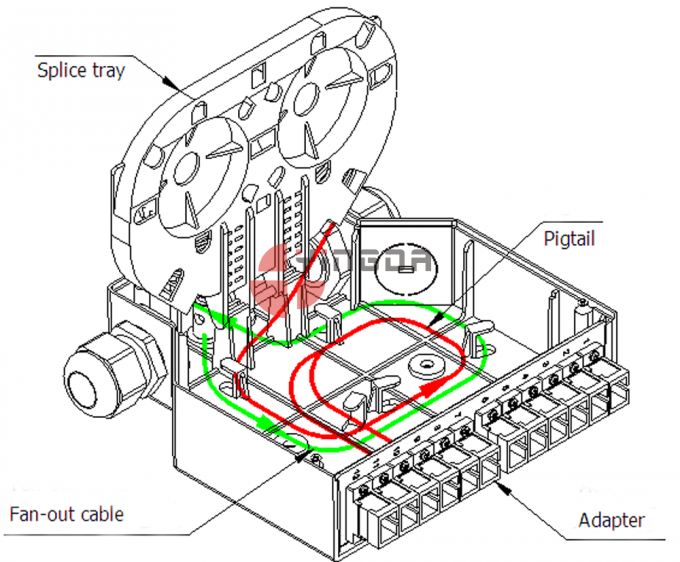 Connect pigtails with adapters, then coil the pigtail cable and splicing on the splice tray. 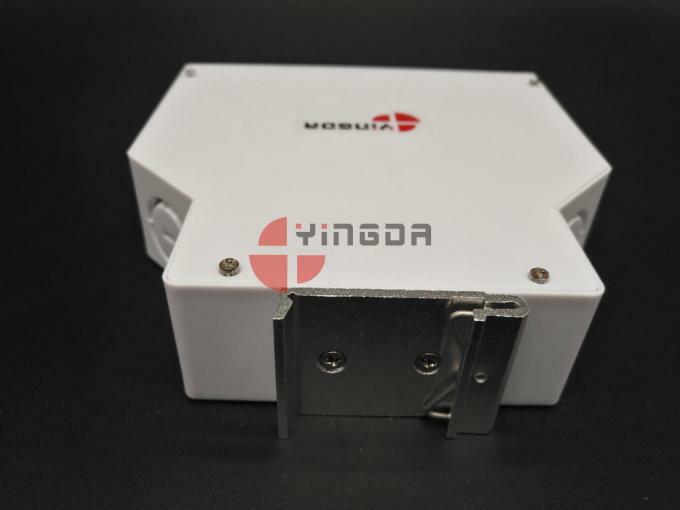 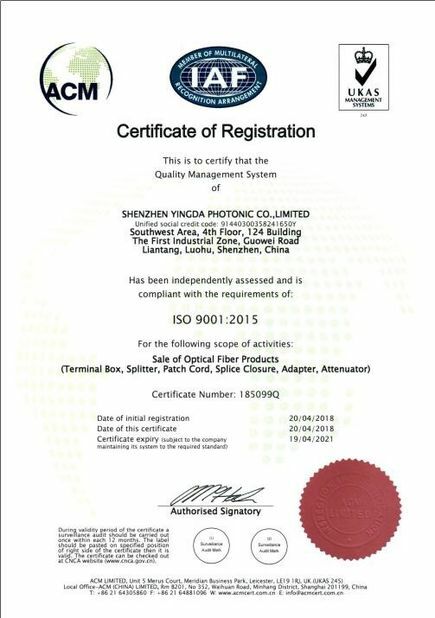 The adapter plate is made of cold rolled steel and it can be replaced, which can accomodate max. 12pcs SC simplex adapters. 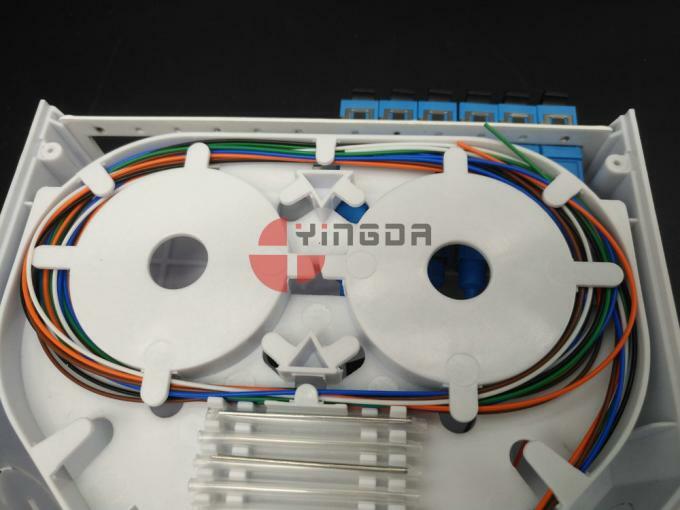 Put the heat shrinkable protection sleeve on the splice tray, use it when splice fibers. 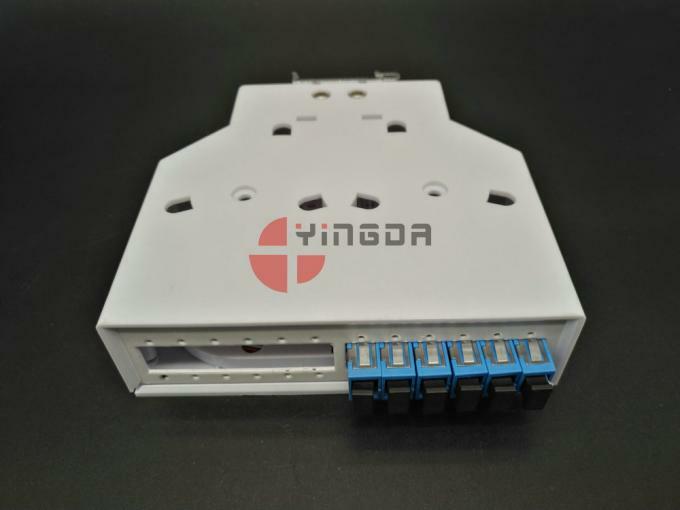 The adapter plate can be taken out and replaced. 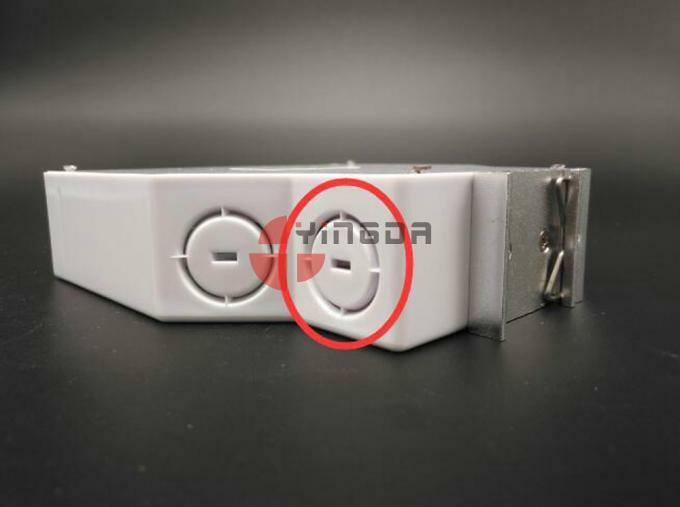 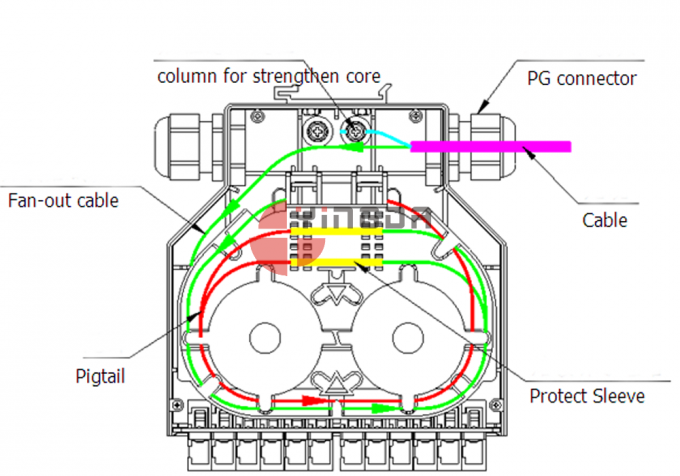 As the red circle marked showing, cable gland can be installed here. 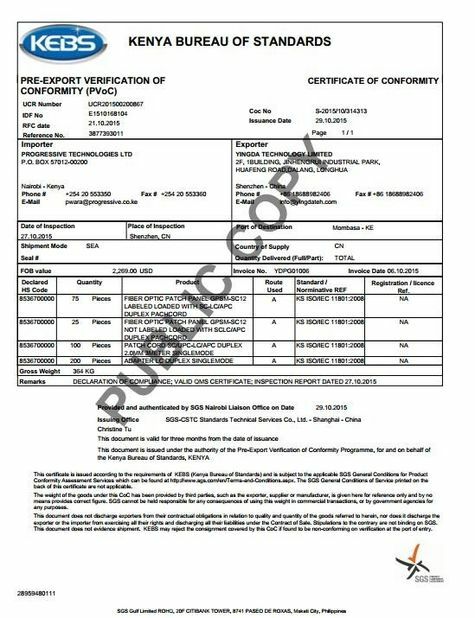 Please refer to the following picture.